Jeff Whitlock is the CEO and co-founder of Unbird, a product management platform that simplifies customer feedback for digital product and marketing teams. Unbird enables companies to make better decisions by providing a seamless solution to aggregate, analyze and act on qualitative feedback. 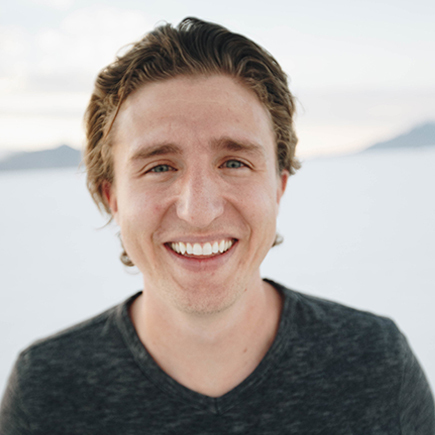 Unbird was the only Utah-based startup accepted into Techstars Boulder in 2019, a top-tier startup accelerator that accepts less than one percent of applicants and provides mentorship and access to capital through a three-month program. Although still in the early stages, Unbird is used by several high-profile digital product teams inside and outside Utah. After graduating from Brigham Young University in economics and strategy, Whitlock worked as a management consultant at McKinsey & Co. then served several roles at Vivint Smart Home, including senior product manager leading the mobile application. Before founding Unbird, he was the head of product at Safeboda (Uber for motorcycle taxis) in Uganda, East Africa, which now facilitates over a million rides a month and raised $2.5 million Series A funding (on a $10 million valuation), which is unprecedented for the region. In my previous roles as a product manager, I experienced the problems Unbird is solving, such as struggling with the process of managing free-form qualitative data. There’s a massive distance between everyday users and product decision makers. Unbird is trying to decrease this distance by making it easier for companies to listen to customers at scale—in their written voice, not pre-defined survey answers. I’ve also experienced this problem from the consumer side. I’m passionately engaged with products I love, but it often feels like constructive feedback I leave goes into a black hole with no acknowledgment on whether any action was taken. So many product and service experiences aren’t great, and Unbird is solving this. I was born here but grew up in Arizona. I started playing football in college in California, but during an ecclesiastical mission decided I wanted to transfer to BYU. Then, after living outside Utah for a few years, returned to Utah to start Unbird and for my wife Rachel to earn her MBA at BYU. We are continually amazed at the supportive business environment and opportunities for career and personal growth in Utah. The mountains are beautiful, and I love being close to nature. My family enjoys skiing at Sundance and exploring new places in Provo Canyon to hike, or simply enjoying a sunny afternoon. It’s difficult to find software developers who are willing to join a startup. Filling technical roles is a challenge across the country, and Utah experiences the same difficulty. There are 4,000 unfilled tech jobs in the state, and it’s hard for a startup to compete with that. Although it’s getting easier, it’s still hard to get people from outside of the state to move here. Once they make the move, they wonder what took them so long. The startup community in the state is very tight-knit. When I first started, it was difficult to find other entrepreneurs at a similar stage, but we’ve since organized a community called FounderPod. I love this community, and everyone is so supportive and helpful. After visiting Sierra Leone, I discovered that a rare type of malaria can stay dormant in your liver for a long time before resurfacing. Now, I can say I’m a two-time malaria and chikungunya fever survivor! Jeff Whitlock, CEO & co-founder of Unbird, is helping digital product teams make better decisions and engage with their customers in new ways. Connect with him on LinkedIn..